The Absence of Corners: Book + Vinyl Set is now available for purchase. 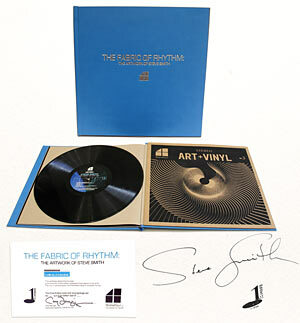 This hardbound book and vinyl package offers a unique creative exploration into the visual artwork that Ward has crafted over the years showcasing rhythm onto canvas. Vivid, powerful, and often abstract, each piece of art showcases a new dimension to drum performance and Ward's rhythmic style. 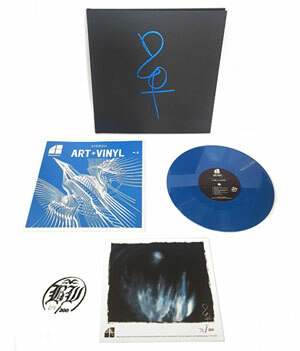 To further the collector's experience, the book offers a new dimension to the visuals with the addition of poetry, both in writing and through the spoken word as featured on the vinyl record. Owners of this set are encouraged to play the vinyl while they review the book for the complete experience. -The image featured on the picture disc is a new original work created in memory of Emerson titled "Welcome Back My Friends"
Own the First Edition/Registry Edition of Chad Sexton's first art book for the special price of $125.00 (Collector/Interest List price). Only 400 books are available in the First Edition, each is numbered and individually signed by Chad Sexton. Also featured in this edition is a new art piece Assimilation that can be removed from within the book. 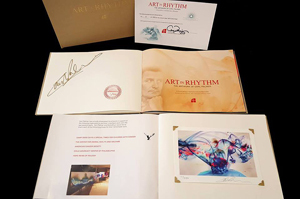 ART IN RHYTHM: The Artwork of Carl Palmer featured 250 books in the First Edition. Carl Palmer was a working drummer by the age of 15 with Chris Farlowe & the Thunderbirds. By Palmer’s 18th birthday he was with The Crazy World of Arthur Brown with the still iconic “Fire.” He then was invited to the first “supergroup” of Emerson, Lake and Palmer. Their first concert had an audience of 600,000 people. ELP remains legendary for their innovation in fusion now referred to as Progressive Rock. From there Palmer was a member of Asia and many years of hit records. This beautiful coffee table tome pays tribute to Carl Palmer’s background, past, present and future with a focus on his art releases with SceneFour. Carl, is an active art collector, and ELP was always very aware as musical artist of the relationship to visual arts. The First Edition came with a numbered art piece that suitable for framing loose but within the book. COME TOGETHER was published in 2011 at the time of Scenefour’s introduction to art galleries. This publication features a Foreword by Bootsy Collins. 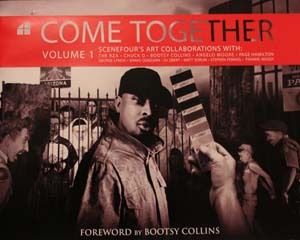 Come Together features SceneFour releases from 2008 to 2011 and includes chapters on art collections done with RZA, Chuck D, Page Hamilton, George Lynch, Angelo Moore, and Bootsy Collins. 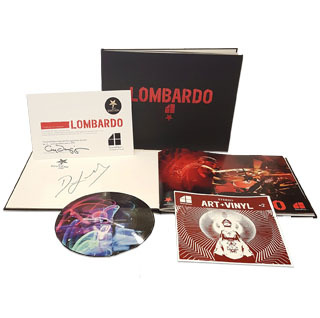 Early collections from the Art of Drums Project are represented by drummer Matt Sorum (Velvet Revolver, GNR, The Cult), Stephen Perkins (Jane’s Addiction) and Frankie “Kash” Waddy (James Brown’s JBs, Parliament-Funkadelic and Bootsy’s Rubber Band).